I often get asked why I decided to sell my own wedding dress. Similar to those who choose to keep theirs, I felt very sentimental about our wedding day and I wanted to hold on to something to pass down to a future generation of our family. For me, that something was the engagement ring my dad gave my mom that she entrusted to me upon his passing. It is a beautiful ring made of opals (his birthstone), because he could not afford a diamond at the time. To me, it represents the fact that life is not about what we have but who we choose to share it with. I waited until my wedding day to wear that ring. Not only did it serve as my “something old” but as a physical reminder of my dad’s spiritual presence with me on that special day. Another (more practical) reason for selling my wedding dress is that my husband and I currently live in an apartment and have limited space for storing items “for a rainy day.” In fact, I have decided to minimize my wardrobe and take a stab at Project 333. For those who are not yet familiar with Project 333, in a nutshell it provides direction for embarking on the capsule wardrobe movement. It stipulates that one’s wardrobe should consist of 33 items of clothing (including shoes, outerwear, and jewelry – yikes, right?!) that you wear for 3 months before changing it up for a new season. 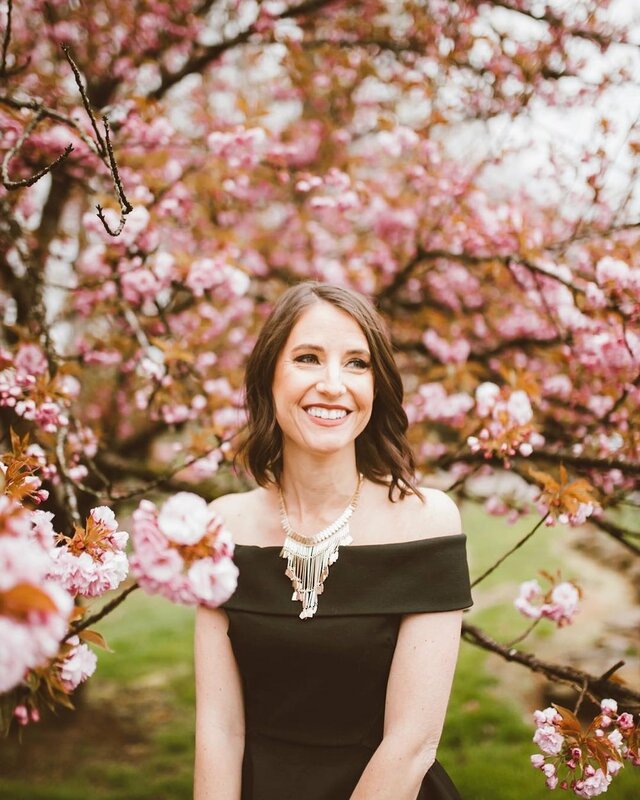 While Project 333 doesn’t necessarily relate to Loveliest, it is something I thought all women searching this site might find interesting, especially since it is focused on finding pieces in our everyday wardrobe that make us feel as lovely as we feel in a wedding dress! For that reason, I’ll be sharing updates along this journey as well. For now, I’ll begin with the clean out process! I knew I would need help whittling down my wardrobe, so I enlisted the help of my dear friend, Carrie McConkey who just so happens to have started her own business (Carrie M. Fashion Consulting) helping gals like me transform their wardrobe into something that gives them confidence rather than anxiety. In a former life, she actually MADE wedding dresses here in Knoxville. Small world, huh? Armed with a sample list of 33 items provided by Courtney Carver, creator of Project 333, plenty of water, and freshly baked oatmeal chocolate chip cookies, Carrie and I dove right in! Photo: Carolina O'Neal//Project 333 Fuel: Fresh Oatmeal Chocolate Chip Cookies! I started by doing the laundry and making sure there was nothing lurking in the dirty clothes bin. 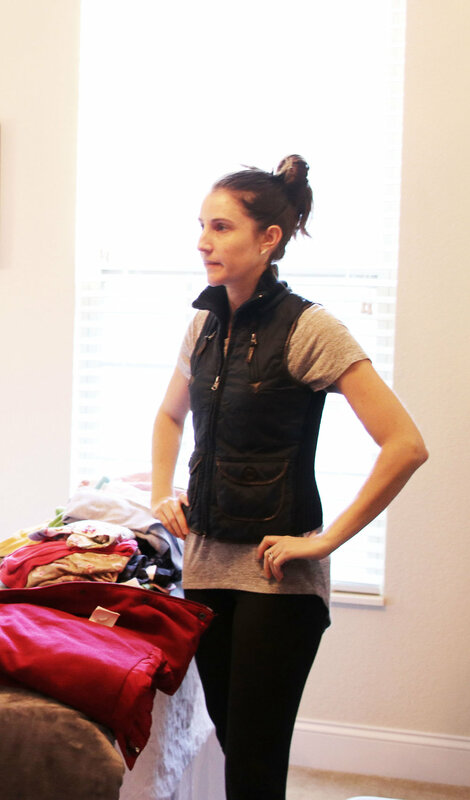 I then piled all 214 items (excluding jewelry) that were in my closet and drawers on (or around) my bed. Result: categorized stacks on stacks on stacks (see below)! I did not unearth the items I own that were already stored away for future seasons. I’ll save those for a future 3-month planning stint. Photo: Carolina O'Neal//Facing the Truth: Too Much STUFF! Carrie and I then did quick-fire rounds moving through each sub-set of items. I was so excited to embark on this journey that I was pretty decisive, quickly moving each piece to the “keep,” “store for a future season,” or “get rid of” piles. Carrie was FABULOUS about stopping me on certain items that I wanted to keep to inspect them and determine if they were in fact up to snuff. If there was a piece I didn’t want to part with (like this chunky sweater with dolman sleeves – I learned a new fashion term!) that was not in tip-top shape or was too small, Carrie would pin it up, take a photo, and move it to my “replace” pile. She informed me I was allowed to wear those pieces until I could purchase similar replacements, but they were not meant to stay for long. When I could not choose between seemingly similar garments, Carrie would have me try on each item to determine their pros/cons. 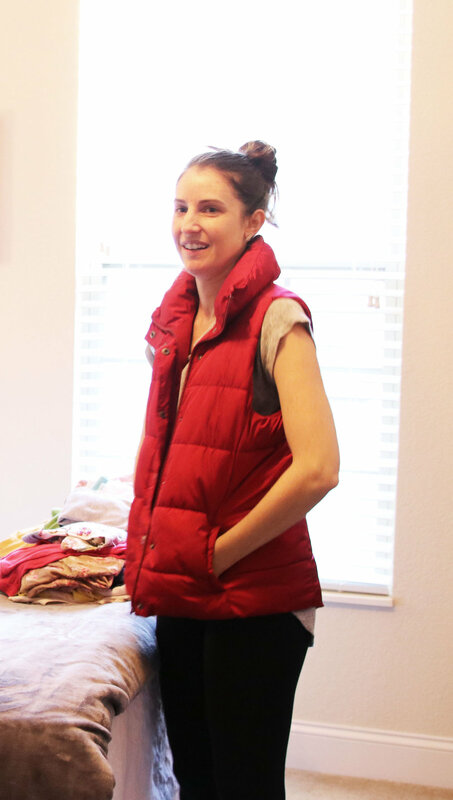 These images of two vests I owned provide a third-party, objective view that makes the decision a no-brainer! One is so slimming and can be dressed up or down while the other looks like its bulky warmth only belongs on the ski slopes (which I undoubtedly avoid). Photo: Carolina O'Neal//My Face Says it All! Photo: Carolina O'Neal//Much Better Fit! Ultimately, we were able to come very close to the 33-piece goal for my first 3-month wardrobe, ending up with 41 items, not including those I need to replace. I will try to hold off on those to see if they do in fact need upgrading. Carrie must have had a premonition when she got dressed that day, because after I put everything away and moved ALL the empty hangers and two emptied storage containers out of my bedroom, all I felt like screaming was WHEE! Stay tuned for updates on how the project is going! 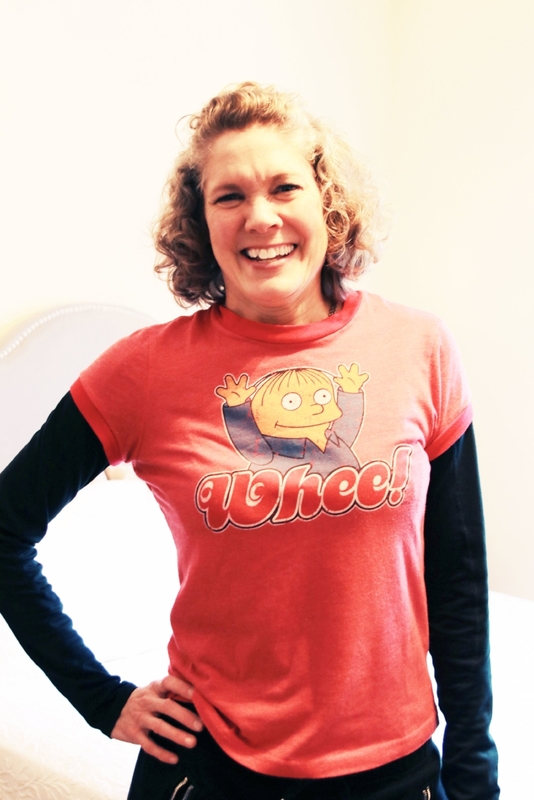 Photo: Carolina O'Neal//The Shirt Says it All: Whee! Hi! I'm Anna - recent bride and owner of Loveliest Bridal boutique. 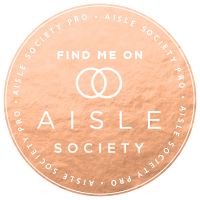 I know all too well what makes for good and poor wedding dress shopping experiences and want to make sure yours is the absolute best! Check back often for thoughts, advice, and updates about Loveliest, weddings, engagements, and life in general!